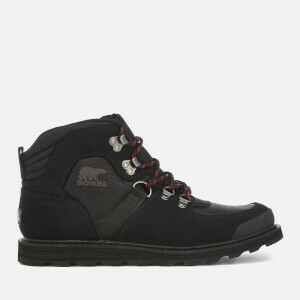 The ‘Madson’ hiker style boots help to keep feet dry and comfortable in all conditions. 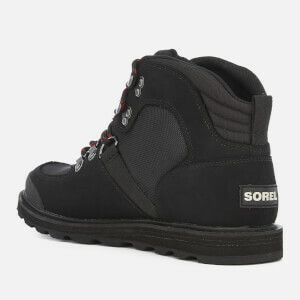 Presented in breathable textile overlaid with leather, the black boots are fully seam-sealed and waterproof to combine comfort and practicality. 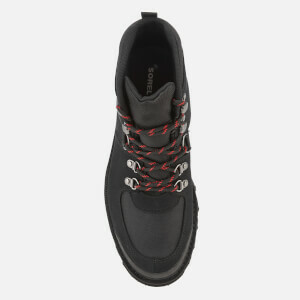 Fastening with patterned laces, the boots feature a heel pull tab for easy on and off and a cushioned EVA midsole for improved support. 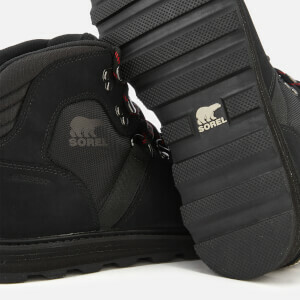 A lugged rubber outsole offers maximum grip and traction. The boots are finished with branded detail at the side and heel.